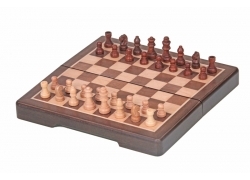 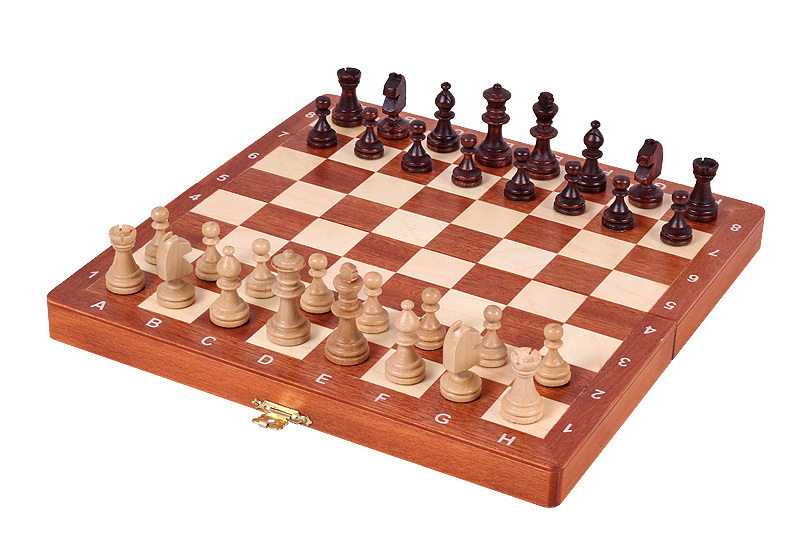 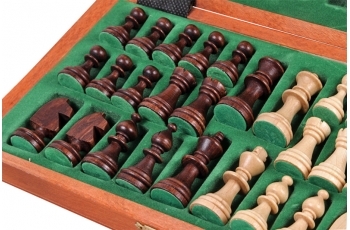 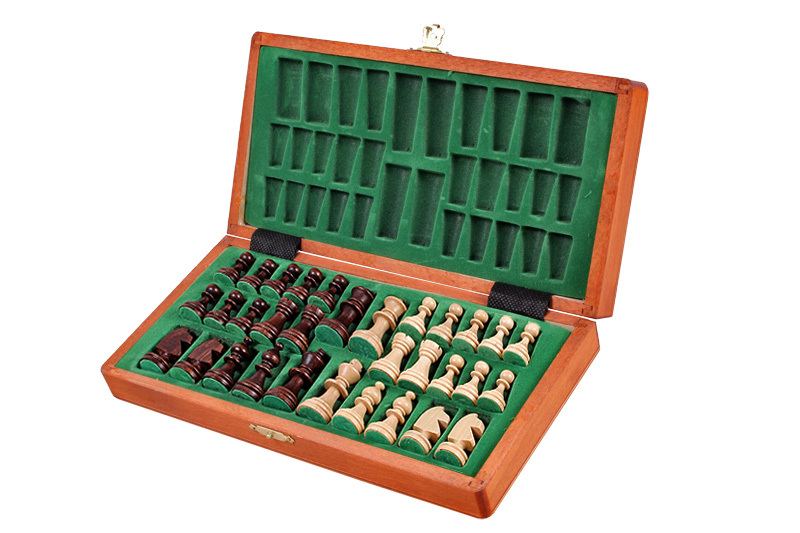 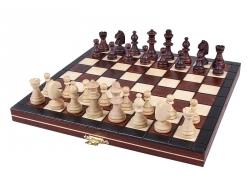 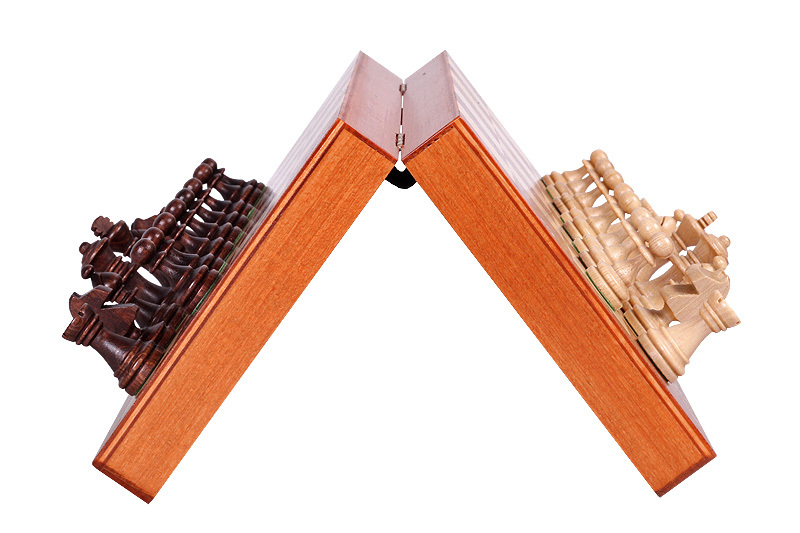 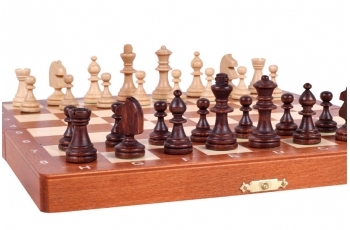 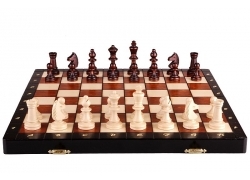 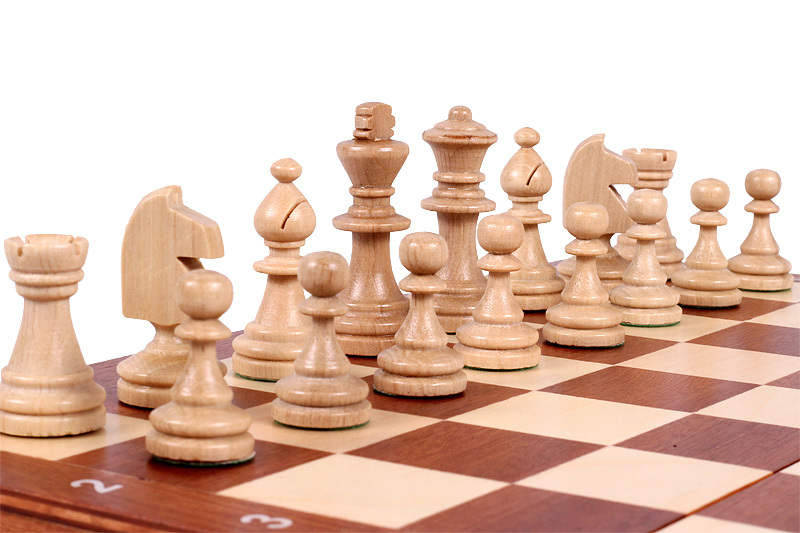 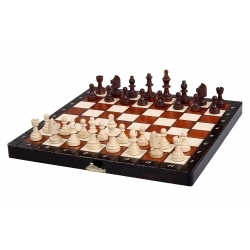 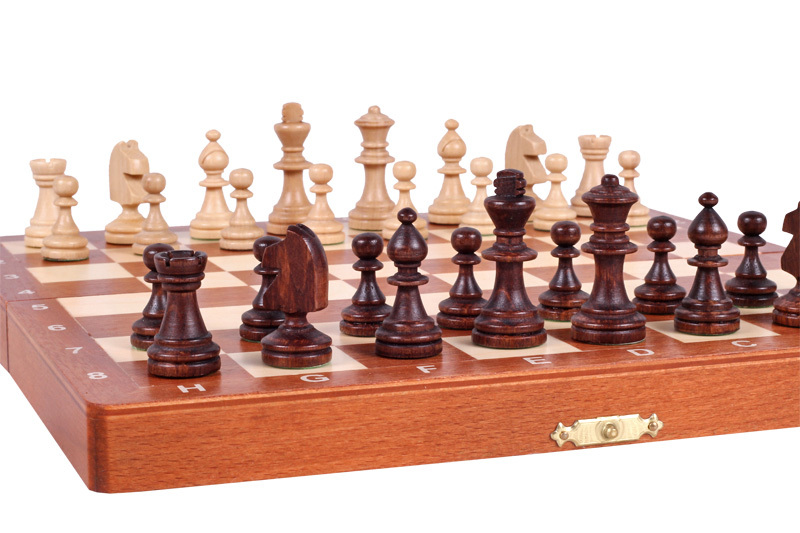 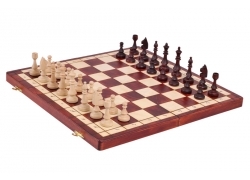 The chessmen design and the size of this set corresponds with our CHW10 set. 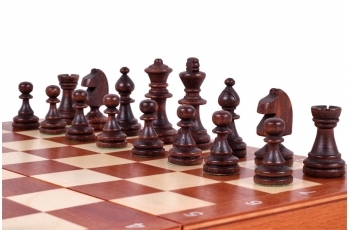 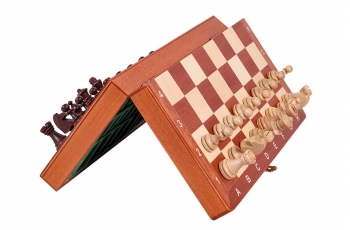 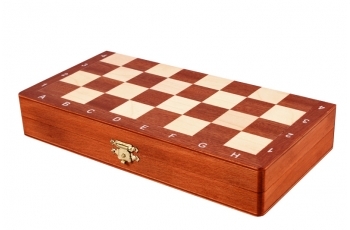 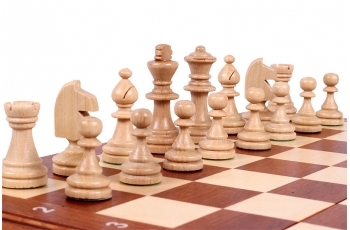 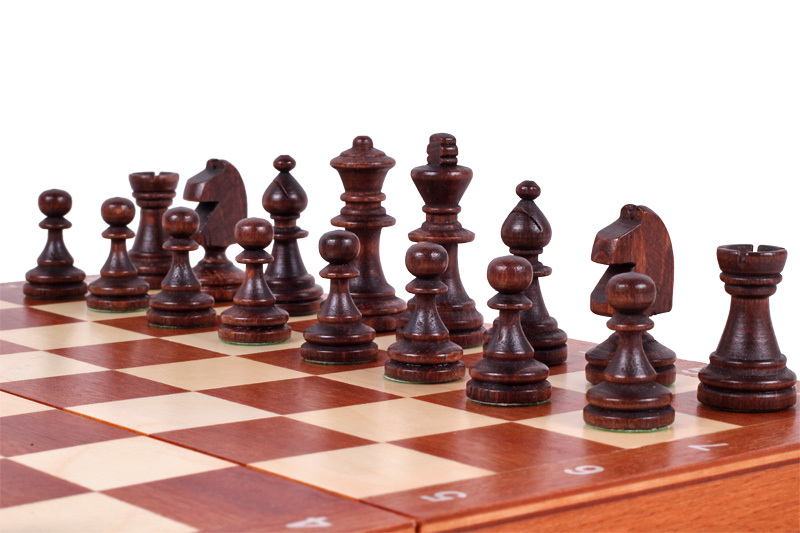 However the folding chess board has been inlaid with mahogany and sycamore wood. The set is available in brown colour only.